Think of gold as you know it. Gold (Au, atomic number 79) is the most malleable and ductile metal of all; it can be beaten to very thin sheets of material and rolled or bent as desired. This has been known and done for centuries. 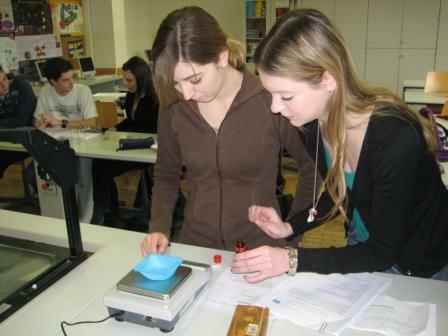 In this experiment you will investigate nanoparticles of gold or nano-gold! 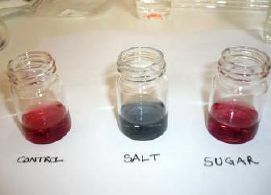 The properties of nano-gold are very different and it all has to do with the size of the nanoparticles. Download the documents below to lear more about this experiment and watch the information video available below. Experiment with Colorimetric Gold Nanosensor by NANOYOU is licensed under a Creative Commons Attribution-NonCommercial-ShareAlike 3.0 Unported License. However, this does not apply to some images used in this kit which are protected by copyright. Click here to view a list of these images. Permissions beyond the scope of this license may be available contacting ARTTIC.